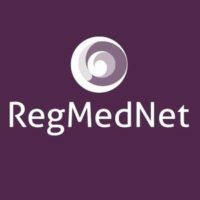 HomeNewsIn The MediaBringing Nerve Regeneration from Tank to Bedside: An Interview with Sandra Rieger, Ph.D. Bringing Nerve Regeneration from Tank to Bedside: An Interview with Sandra Rieger, Ph.D. The MDI Biological Laboratory (ME, USA) is a growing independent biomedical research institution. It aims to improve human health and well-being through basic research and development ventures, as well as providing world-class science education. 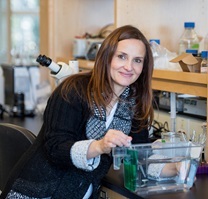 Sandra Rieger, PhD, is an assistant professor at the MDI Biological Laboratory. She holds a doctorate in developmental neurobiology from the Institute of Developmental Genetics at the Helmholtz Center (Munich, Germany) and conducted postdoctoral research at the University of California, Los Angeles (CA, USA), in neural regeneration. She is studying sensory nerve regeneration in peripheral neuropathy – a potentially disabling condition causing numbness, tingling, temperature sensitivity and pain in the hands and feet. Peripheral neuropathy can be caused by factors including chemotherapy, diabetes, alcohol, infectious disease and hereditary disease. Rieger has established a zebrafish model to study the signaling mechanisms leading to peripheral neuropathy caused by paclitaxel, a chemotherapeutic agent. She has identified two potential therapies that target the enzyme matrix–metalloproteinase 13 (MMP-13) in the epidermis and has discovered that the inhibition of this enzyme promotes nerve repair and prevents nerve degeneration in zebrafish. She is studying both compounds for their effects in mammals. How did you come to work in the MDI Biological Laboratory? When I was a post doc I looked at potential independent investigator positions and I was fascinated by the MDI Biological Laboratory’s institutional approach, which focused on regeneration biology using animals that have a naturally high regenerative capacity. Investigators here, including myself, use zebrafish and also salamanders to study natural regeneration processes. Personally, I am interested in using zebrafish, especially the larvae and developing zebrafish, because they have a very high regenerative potential. They are also optically clear, so we can visualize regenerative processes in the living animal. Primarily, I’m utilizing time-lapse imaging to look at sensory nerve regeneration and wound repair processes. I like to watch these animals in real time; it can be a very powerful tool. What is it that interests you in wound healing and regenerative medicine? I am interested in trying to identify medications or treatments for human diseases, but I’m also interested in the basic mechanisms of wound healing and regeneration. When I was a post doc in the lab of Alvaro Sagasti (University of California, Los Angeles), I started to look at the mechanisms by which wounds heal and I became very interested in the role of sensory nerve endings in this process. Very little is known in the field about how sensory nerve endings interact with wounds, particularly skin wounds. Since zebrafish regenerate their fins really well, we can amputate their fins and watch regeneration in live animals. I found that not only the fin but also the nerve endings regenerate well. I discovered that nerve regeneration is stimulated by the small reactive oxygen species, hydrogen peroxide, which is secreted by wound epidermis. If we can genetically eliminate the enzyme that produces hydrogen peroxide, nerve endings don’t regenerate anymore. We know from other studies that nerves in the skin are really critical for wound repair processes; if you don’t have nerves in the skin the wound doesn’t heal properly. For instance, diabetic patients with peripheral neuropathy, a condition of nerve degeneration in the skin, often develop wound healing defects due to the lack of sensory nerve endings. This is because nerve endings secrete certain molecules or trophic factors that promote the healing process. I am very interested in those mechanisms – how does the wound and specifically the skin cells in the wound interact with nerve endings under conditions of peripheral neuropathy? Why are you using zebrafish as a model for your studies as opposed to other model organisms, such as the mouse? The larvae of the developing zebrafish are optically clear so we can utilize them for time-lapse imaging, which is very powerful. You also get hundreds of eggs from a single mating, so we can utilize lots of animals at the same time, giving higher statistical power. Another feature is that they develop very rapidly. I can start doing the analysis within 2 days of mating the parents and collecting the eggs because the larvae have already developed to a point where nerves have innervated the skin and are fully functional. Furthermore, these fish have a very high regenerative capacity compared with mammals, so they are better for studying regenerative processes. Lastly, what I think is also very powerful is that approximately 80% of the genes known to cause diseases in humans are also present in zebrafish, so we can use the model to really learn about these diseases and apply this knowledge to humans.